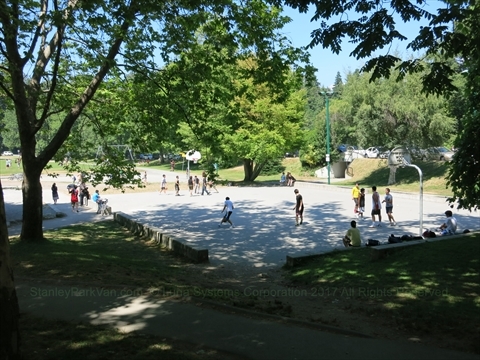 You can play Basketball in Stanley Park at the basketball court at Ceperley Park. There aren't organized games. It is just pick up games. You need to bring your own ball. On Monday evenings during the summer, there is Scottish Dancing on the basketball court so you cannot play during this time. Other than that time you can usually play basketball. The basketball court is located at Ceperley Park behind the playground with the vintage fire engine. Nearby is the Air India Memorial and Second Beach.